COME SPY WITH ME IN MARRAKECH! Who are your favorite spies, intelligence officers, heroes and heroines in novels, movies or on TV? It seems that ever since Ian Fleming launched James Bond into our collective consciousness way back in 1953, we have been intrigued with the idea of a Special Agent with special skills (in addition to clever lines!). But where did Fleming get the ideas, the background and the research to create such a fabulous character? It turns out that he was in the British Naval Intelligence Division during WWII and said that Bond was a composite of the many secret agents he met at the time. This clever character, of course, has been featured for decades in films (I for one loved Sean Connery in that role), but also inspired many authors to write about new fabulous characters -- both men and women -- spies that we love to read about and admire. 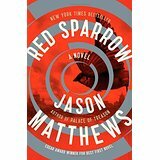 Taking a look at some of these newer characters, I so enjoyed reading about Dominka Egorova, the lovely Russian woman spirited into their Intelligence Service in Jason Matthews' terrific debut novel, RED SPARROW. The story traces her training to become a seductress as well as a brilliant spy. But our American CIA also has a brilliant spy, Nathaniel Noah, assigned to recruit her. The author gives us a unique window into the Russian spy training regime along with Putin's iron-fisted control. How did the author learn so much about the Russian system? It turns out that Matthews served as one of our own CIA agents for 33 years. Talk about "verisimilitude!" This book has it in spades, and in fact it won our International Thriller Writers Award for "Best First Novel." Another "Favorite Spy" is Mitch Rapp, described brilliantly by the late Vince Flynn (whom we lost recently at way too young an age). Vince wrote political thrillers about Rapp, a super secret Special Agent" sent around the world to handle national security crises that needed his own brand of expertise. In CONSENT TO KILL the hero becomes the hunted. In ACT OF TREASON Mitch must find the perpetrators of a bomb attack on a motorcade during a Presidential campaign that turns the election, and possibly the constitution upside down. But one of my favorite stories about Mitch is PROTECT AND DEFEND which involves the most ingenious plot I've ever seen to destroy Iran's nuclear capability. This scenario is positively brilliant! A personal note about the author. I got to know Vince Flynn at various author events, and since he writes about Mitch having romantic relationships, I asked how does he "keep the romance going" in subsequent stories. He said that when he wrote about Mitch Rapp falling in love with a particular woman and marrying her, in sequels, he really couldn't figure it out. And he admitted, "I had to kill her off." 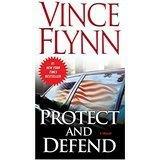 So his hero had to deal with a personal tragedy along with a harrowing assignment in the next thriller. One more great spy is Intelligence Officer, Paul Christopher, working under deep cover all over the world. Written by Charles McCarry, himself a retired CIA Officer. 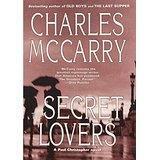 In SECRET LOVERS he dispatches his hero to deal with a manuscript smuggled out of the old Soviet Union that, if published, could bring down the entire system. McCarry, known as the consummate spymaster, created an attractive, urbane character who plots, plans and carries out dangerous and intriguing missions in a whole series of great thrillers. Now, my question for you is: Who are YOUR favorite spies -- men and women? Please leave a comment and we'll compare notes. And do continue to check in here all week long to learn who my "Rogue Women" colleagues choose as their favorites. I also like Mitch Rapp. I have long lists. My favorite fictional spies in novels include Judd Ryder, Jay Tice, Eva Blake, Stefani Fogg, Jon Smith, and Gabriel Allon. On television, my favorites include Carrie Mathison and Saul Berenson, Elizabeth and Phillip (who, if they have last names, I never caught them) on the Americans. My favorite non-fictional spies include Hannah Szenes, Robert Ames, Adolph Tolkechev, and Wild Bill Donovan. This is not an exclusive list, just who comes to mind at 7:19 in the morning. Great blog. Great conversation starter. My favorites are influenced by either far in history or in more recent novels. I haven't seen The Americans, but everyone who has claims that it's an excellent show-and parallels some real life deep cover Russians discovered a few years ago living on the East Coast. Agree with S. Lee Manning above that Gayle Lynds and Robert Ludlum did a great job creating spy Jon Smith (and he's been a joy to write). I also loved reading The Bourne Identity and watching the Jason Bourne movies as well as the recent James Bond films. In non fiction I enjoy reading about spies in history. Great post! I read RED SPARROW a few months ago and also quite enjoyed Dominka's character. Like S. Lee and Jamie, The Americans and the Bourne series are among my favorites. But Sydney Bristow (Jennifer Garner's character on ALIAS) is my all-time favorite fictional spy. Her father, Jack Bristow (played brilliantly by Victor Garber) ranks a close second. What a great list you all put together in your comments. I too loved Gayle Lynds' character, Jon Smith. And while not exactly a "spy" in the traditional sense - I have been reading Francine Mathews terrific novel, "Jack 1939" where she envisions a young Jack Kennedy being sent off by FDR as a kind of "spy" or "private agent" if you will -- into pre-war Europe to send back important information. Now, I look forward to seeing what others say about THEIR favorite spies.